It’s easy to improve your travel experience using a few simple accessories. Below, we’ve put together a complete guide of the best travel comfort accessories to make your journey more tolerable, whether you’re flying across the ocean or travelling overland. Most of the items on our list feature specific product recommendations. Click on any of the links below to read product reviews and shop for our recommended travel accessories on Amazon. From rigid airplane seats to trains, buses and taxis, a good travel pillow makes any form of long distance transportation more comfortable. Most of the higher-end travel pillows available today use memory foam to contour to your neck and shoulders for a more supportive fit. Travelmate Memory Foam Neck Pillow – This neck pillow comes with a removable insert that you can use to adjust the thickness for optimal comfort, with memory foam padding for a more comfortable feel. Mainstays Travel Pillow – Unlike most travel pillows, this pillow has a classic square shape instead of the horseshoe shape you normally see. With a 200 thread count, it’s soft, supportive and ideal for long flights. Feel like listening to music while you travel? A good pair of noise cancelling headphones lets you enjoy any album or audiobook without the ambient noise or hearing damage that’s often caused by regular headphones. Sony MDRZX110NC Noise Cancelling Headphones – These cheap headphones from Sony eliminate most ambient noise while providing decent sound quality and folding into a compact form for easy storage in your suitcase or backpack. Bose QuietComfort 25 Acoustic Noise Cancelling Headphones – If you’re looking for a great pair of wireless noise cancelling headphones, this $300 pair from Bose delivers big time on quality while eliminating almost all background noise. From bus rides to long haul flights, digital entertainment can make any journey easier. Gadgets like the Amazon Kindle, downloaded TV shows, audiobooks, and Nintendo Switch are perfect for passing time and getting 10+ hour trips out of the way faster. Kindle Paperwhite E-Reader – The Amazon Kindle is a game changer for long distance travel, offering a huge library of inexpensive books and a screen that makes reading on the go easy. Audiobooks – If you feel like reading requires too much concentration, audiobooks are a great way to pass the time and still engage your brain, plus blocking out the noise of airplanes and airports. Audible offers a free trial and has thousands of best-selling audiobooks to access and download. Downloaded TV Shows – You can download a wide selection of TV shows and movies to your mobile device with Amazon’s Prime Video service, letting you watch them anywhere without any kind of internet connection – perfect for plane journeys. There’s a 30 day free trial available to test it out. Here’s Amazon’s easy-to-follow instructions on downloading the content. Remember to download the shows you want before you go travelling as usually the content is not available in other countries. Nintendo Switch – Ideal for the young (or young at heart), the Nintendo Switch is one of the latest portable gaming gadgets, offering HD gaming and a good range of different titles to choose from. Power Bank – you’ll no doubt be bringing your phone with you and using it for gaming, reading or whatever – but you need to make sure you’ve got enough power to last the flight just in case your seat doesn’t have a USB slot. A power bank makes sure you won’t hit the dreaded zero battery mid-flight. Feel like peace and quiet? A good pair of earplugs can help you relax and fall asleep on any bus or plane, no matter how noisy the engines, your neighbours or the onboard entertainment might be. Cirrus Healthcare EarPlanes – Designed specifically for air travel, these earplugs help you naturally adjust to differences in air pressure by blocking sound while allowing air to freely travel in and out of your ear cavity. Drift to Sleep Ear Plugs – If you lose earplugs often, this 20 pack of cheap earplugs is a great resource for flights, bus trips and train journeys. In spite of the low price, all of the earplugs are made from comfortable, non-irritating materials. If you have trouble sleeping in brightly lit spaces, a good set of eye covers can help you enjoy a good night’s sleep while you travel. We’ve picked out two eye masks — one higher-end and soft, and the other inexpensive and disposable. Alaska Bear Natural Silk Sleep Mask – Made from 19 momme natural mulberry silk, this sleep mask is the Rolls Royce of travel eye masks. Ideal for people that need to block all light while keeping their forehead and eyelids comfortable. Bhbuy 10pcs Eye Mask – Like the disposable earplugs listed above, this 10 pack of eye masks is a good choice if you’re worried about losing small accessories while you travel. 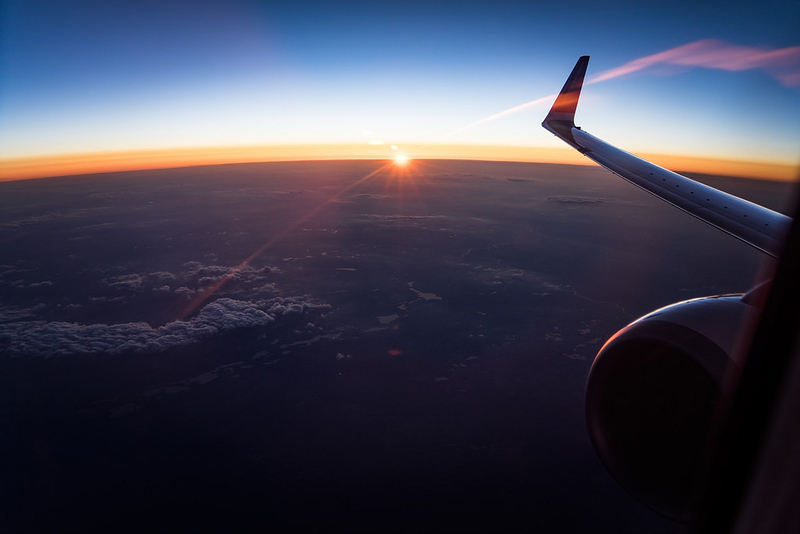 When you fly long distance, the lack of physical activity can result in an increased risk of blood clots and uncomfortable, swollen feet and ankles. A good pair of compression socks can help your body regulate blood flow, reducing the risk of injuries and keeping your feet comfortable. KKUP2U Compression Socks – Designed specifically for long haul travel, these long compression socks fit up to the knee and will keep your legs comfortable while you fly long distance. Travelsox TSS6000 Original Graduated Compression Socks – Another good choice for long haul travel, these socks have graduated compression to provide optimal blood flow to your ankles, feet and toes. A good travel organiser makes keeping track of your memory sticks, chargers, adapters and other small electronic devices far easier. You can also use it to store foreign currency, credit cards and other small items that can easily go missing when kept inside your suitcase. AmazonBasics Universal Travel Case – This cheap and simple travel case is perfect for storing in-ear headphones, memory cards, small travel adapters and other small items. iMangoo Hard Protective EVA Case – Another cheap and simple travel organiser, this case has a shockproof EVA exterior that makes it ideal for holding power banks, MP3 players and other easily damaged items. If you’re travelling with cosmetics and personal care items, a set of clear bags can come in very handy when it’s time to pack and unpack your suitcase. They’re also great for storing medication and shaving gear. 3-Pack Clear Vinyl Cosmetic Bag – These cheap and simple clear cosmetic bags offer plenty of storage space for your makeup and personal hygiene gear, with reliable YKK zippers to keep their contents secure. Modern Bethel Travel Pouch (Set of 5) – A great budget option, these zipper pouches come in five different sizes, letting you store everything from makeup and shampoo to foreign currency, earrings and more. It’s always good to have a selection of medicines and personal care items on hand when you travel, especially for long flights. We’ve listed the essentials below, all of which fit inside any of the cosmetic bags listed above. Antihistamines – especially if you’re travelling to an area with air quality problems or pollen, dust or other potential irritants. Pain relievers – such as paracetamol, acetaminophen and other over-the-counter pain medicine. Lip balm – as the air conditioning on many planes, trains and buses can quickly dry out your lips. Moisturiser – especially for long journeys. If you’re flying, make sure your moisturiser is under the 100ml limit for containers. Sleep aids – such as melatonin and other over the counter sleep aids. If you use stronger medicine to help with sleep, make sure you bring the original prescription with you. Prescription medications – Make sure you bring these in their original containers with a copy of your prescription, especially if you’re travelling internationally.